Son of the late Hon.T.A. Marryshow, CBE, journalist and legislator of Grenada. 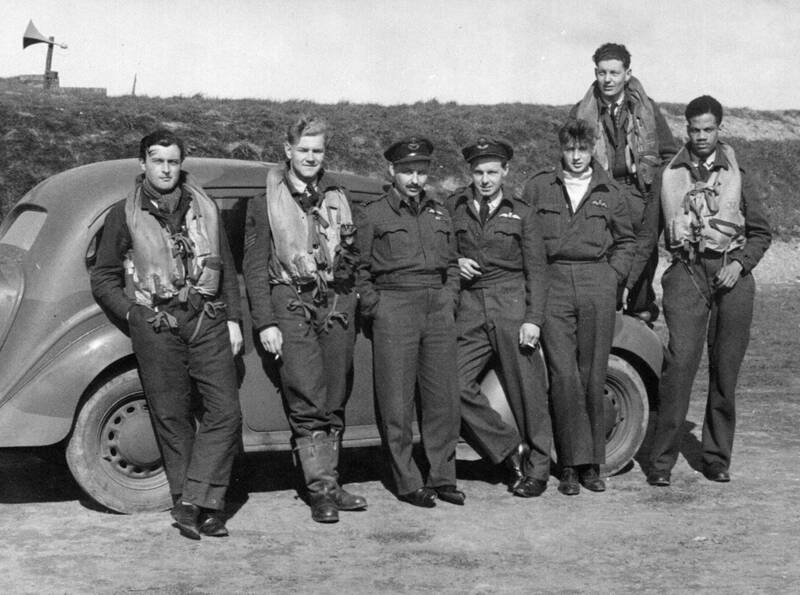 It appears in an article about Grenada’s role in WWII and shows Julian in his Spitfire. It looks like a close-up of the photo referred to as the sepia one above. I’ve just read that 602 squadron’s website has a (fairly) recent mention of Julian, here . . .
. . . Hopefully the talk of an interview with RAF Hendon will pay off. I for one can’t wait. Ninety-two-year-old Julian Marryshow sharing memories of Crop-Over. Barbados is currently caught up in the music and excitement of Crop-Over, but the man considered “father” of Barbados’ biggest festival is tuned out. At age 92, an ailing Julian Marryshow merely reflects on the event he conceptualised over three decades ago. His eyes light up over the memories, when he talks about the many cultural events of the festival, mostly so as he relives the experience of being among throngs of people following the decorated donkey cart parade through Broad Street. And he regrets such early cultural features of the festival are no more, replaced by “wuk up” and “raise yuh hand in the air”. “This wuk up and hand in the air I don’t approve of” he told the Weekend Nation in an interview on the patio of his Hastings, Christ Church home yesterday. Marryshow was heading his own advertising agency when the Barbados Tourist Board invited advertising agencies to submit proposals for a project that would sensitise Barbadians to the importance of the tourism industry. Marryshow’s company won with its submission Project T- Tourism Needs You, You Need Tourism. It turned out to be his passport to a job with the Barbados Tourist Board as public relations consultant and later consultant public relations manager. Working with the Barbados Tourist Board, he realised that June was a particularly dead month for Barbados’ tourism. “I felt that we could do something to promote that month”. Then, through research by Flora Spencer, he discovered the celebration by slaves on Barbados’ plantations at the end of the sugar cane crop. Thus was born Crop-Over in June 1974. “How I did it? I had divided each activity into groups and you had a group leader and he reported back to the main committee, which was chaired by Emile Straker, and there was Livvy Burrowes.” The people mentioned were all members of the Tourist Board of the day. The festival opened with the cutting of the last canes, and Marryshow asked plantations to leave some cane behind to be harvested symbolically for the festival. That dray cart load of canes was later decorated and led the very popular cart parade that opened the event. Hotels competed, entering their own decorated donkey carts in the competition, and thousands lined the streets of Bridgetown and every vantage point afforded by business houses along the way to witness the parade. Marryshow recalls that the Crop-Over of yesteryear was filled with sporting and cultural activities – goat and donkey cart racing, and he invited dancers and other artistes from Martinique, Cuba and Trinidad to participate. These regional artistes were also a feature at the plantation fairs. As a festival with its roots in the plantation, Crop-Over saw well organised fairs at plantation grounds that drew hundreds of patrons. “I was disappointed that the plantation fairs were discontinued,” Marryshow said. Admission to those fairs was $1 for adults and fifty cents for children. While these fairs provided an opportunity for participation by rural communities, activities like the barge show in the Inner Basin of the Careenage in Bridgetown attracted people from all over the island. He recalls the legendary Sir Don (Don Marshall) and the Mighty Dragon winning the crown. Today’s Kadoomentis yesterday’s Trinidad-styled “ole mas” at the Marine Hotel where small groups competed. Marryshow, a Grenadian by birth, left Barbados shortly after the Ministry of Culture took over Crop-Over in the early 1980s, only returning about ten years later. The festival has evolved, and the “father” of Crop-Over is happy that it is now Barbados’ premier cultural event, attracting not only Barbadians from throughout the diaspora, but hundreds of other visitors from around the world as well. He is a “little disappointed” that it has become more of a Trinidad-styled carnival than the cultural event that he conceptualised. Instead he is happy with his quiet, retired style of life. “I have just taken my new guard at cricket. I have to keep batting until I am 100,” quipped Crop-Over’s pioneer. 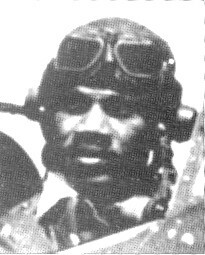 Flying Officer Julian Albert Marryshow was a Grenadian airman of the Royal Air Force Volunteer Reserve who served during the Second World War. He was born in Grenada, the son of Theophilus Albert Marryshow, a political activist and campaigner for a West Indies Federation. 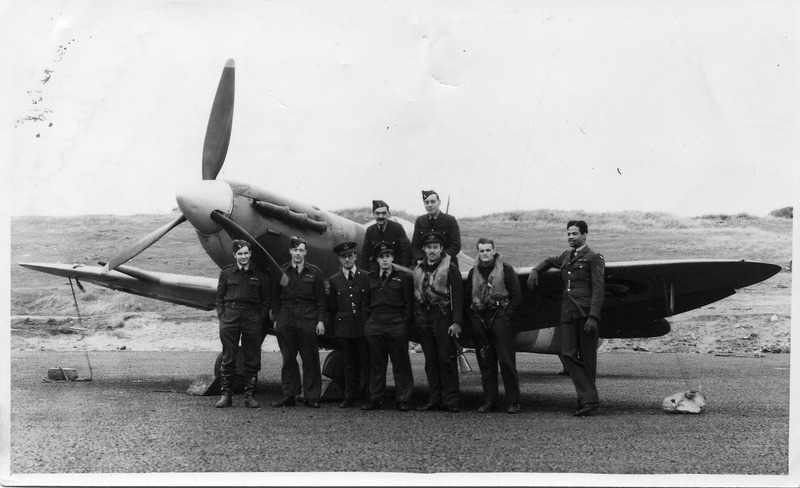 Marryshow joined the Royal Air Force under the “Trinidad Air Training Scheme”, and was posted to the Supermarine Spitfire-equipped 602 Squadron. He was credited with damaging one Fw 190 while supporting the ill-fated Dieppe raid on 19 August 1942. Marryshow later converted to the Hawker Typhoon, and operated the fighter-bomber as part of 193 Squadron. With his squadron, he flew sorties over Europe during the Normandy landings, and was credited with the destruction of a number of trains and rocket launcher sites. On 24 February 1945, Marryshow’s Typhoon (serial EK236) was hit by flak and came down near Breda. He survived and was able to rejoin his squadron. After the war, Marryshow studied economics under Professor Harold Laski at the London School of Economics. He went on to be employed in the tourism industry. 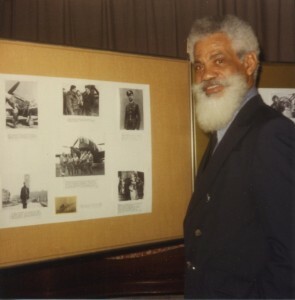 His work took him to a number of countries, in various capacities, and he acted as a consultant to the tourists boards of Tonga and the Solomon Islands, amongst others. In 1974, he headed a committee for Barbados’ Board of Tourism which decided to revive the ‘Crop Over’ harvest festival. Marryshow died on 17 July 2012, in Barbados. ↑ Brizan, George I. Brizan (2001), Brave Young Grenadians: Loyal British Subjects, p. 64. ↑ Foreman, John (2005), Raf Fighter Command Victory Claims, Volume 2, p. 194. ↑ Caribbean Glory, da-academy.org. Retrieved 7 August 2015. ↑ Bickers, Richard Townshend (1999), Hawker Typhoon: The Combat History, p. 106. ↑ Sheppard, Jill (1997), Marryshow of Grenada: An Introduction, p. 21. ↑ Douglas, Ngaire Douglas (1997), They came for savages: 100 years of tourism in Melanesia, p. 157. ↑ Macmillan Caribbean (2003), A-Z of Barbados Heritage, p. 60. ↑ Rest in Peace Julian, barbadosunderground.wordpress.com. Retrieved 7 August 2015.